Annette, one of Aaron’s daughters, remembers that he said one time he was working with Sam, one of his brothers, on a chain gang, building roads in a Russian-controlled area. You worked for a whole day, and they gave you one piece of bread. If they caught you taking a second piece, they would shoot you. One day, they were on line for the bread, and Aaron got a piece of bread, and then Sam got a piece of bread. They went off to eat it, and Aaron said to Sam, "Here, you hold the bread. I'm going to get another piece." He got back on line, and when he got to the front, the guard said, "You've already been here." He put a gun against Aaron, who protested "No, no, no. I have not been here, I have not been here." And the guard said, "Open your mouth." He wanted to smell his breath, because if you had eaten the bread, your mouth would smell from it. Since Aaron hadn't yet eaten the bread, he passed the test and lived. So, they gave him the piece of bread, knocked him in the head with a gun, and told him to get away from them. So he and Sam had three pieces of bread that between the two of them, they were able to eat. Francesca, another of Aaron’s daughters, remembers Aaron telling of the time he was with an older farmer, riding on his horse drawn wagon with him. They were carrying a load of hay. Some soldiers on horseback came by and stopped them. They asked Aaron if he was a Jew and he said yes. One pointed a gun at his forehead; the farmer told them he was just a little boy and kept talking until they finally let Aaron and the farmer go. Aaron had told Suzanne, the youngest of his three daughters, about the 1917 Russian Revolution. “The bombs were falling to the left, so we all ran to the right. Then the bombs started to fall to the right, so we ran to the left. One day the city I was in was Poland; the next day it was Russia." His mother had urged him to leave, because "they" would eventually kill him, and had come close several times. Aaron had to be sixteen in order to get permission to leave his village. But when he was only 14, he submitted a request to leave. After two months, when he hadn't heard anything, he submitted a second request - this time listing his age as 16, with an appropriate date of birth. Some time later, the police chief had him brought to the police station. Waving both applications in front of him, he said “How old are you, you little Jew &@$%?" Aaron thought he was in serious trouble, which didn't take much effort in those times and in that place, but he was given permission to leave. It seems he got sick on the voyage and wound up in England until he was well enough to travel again. Eventually, he wound up in Bremen, Germany, where eventually he would board the ship that would take him to Boston. Eventually he came to New York where his sister Flora and brother Max had already settled and made a life for themselves. Aaron used three different ages and birth dates at various times and, eventually, even he was not positive about his exact birth date. His brother Sam once said he knew when Aaron was born, because he remembered when their father had died. But Sam died before Aaron's kids ever discussed it with him. Aaron saved every penny he could and sent money back to Poland. He helped his brother Charlie immigrate to the U.S., by way of Canada, and also his brother Sam, by way of Cuba. 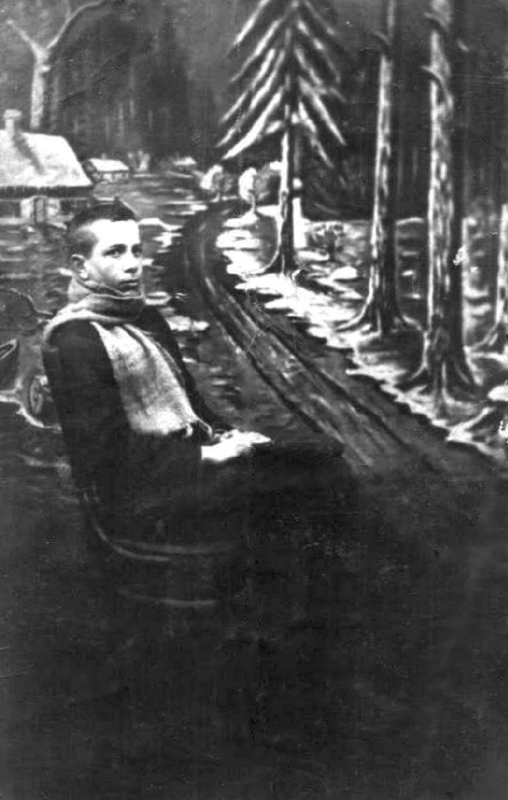 On a visit to Jedwabne (Northeast Poland, near Lomza and Bialystok) in the 1930s, he tried to convince his mother to come to the U.S. But she wouldn't do it, and her remaining son Zalman and his wife wouldn't leave her there alone. He was able to send $500 back for his mother to buy a tiny home to replace the one room shack he and his siblings had lived in. In 1939, the Russians occupied the Eastern part of Poland. In 1941, the Germans pushed the Russians out and took over. Some of the Poles in the town were then encouraged to massacre the 1,500 or so Jews, including the remaining Buracks. Jews in nearby towns suffered the same fate. A few escaped and one made it to the States and the news got to Aaron.